The new licensing scheme for rented homes in Nottingham is set to come into force on Wednesday, August 1, and yet it has so far only received applications from 10% of the city's properties. The new controversial licensing regime, which is set to cover in the region of 32,000 privately rented homes, affecting 91% of landlords in the city, is believed to be the second largest scheme in the UK outside of London. Registration for the scheme has been open for a month, requiring landlords whose properties are in the designated areas to register, with accredited landlords required to pay £480 per property, while non-accredited must pay £780. Designated areas include Arboretum, Bestwood, Bulwell, Bulwell Forest, Basford, Berridge, Bridge, Clifton North, Clifton South, Dales, Dunkirk and Lenton, Leen Valley, Mapperley, Radford and Park, Sherwood, St Ann’s, Wollaton East and Lenton Abbey. Failure to comply with the new scheme could lead to a civil penalty of up to £30,000, or prosecution on summary conviction which carries an unlimited maximum fine. Landlords may also be prevented from holding a licence in the future. However, the scheme has not been well received, with a recent petition calling on the government to carry out a review of Nottingham City Council’s Selective Licensing Scheme, attracting more than 1,700 signatures. Although 32,000 or so properties need a licence, the local authority has merely received just 3,140 applications so far - and the deadline is in less than 48 hours. The Energy Efficiency (Private Rented Property) (England and Wales) Regulations 2015 establish a minimum level of energy efficiency for privately rented property in England and Wales. This means that, from April 2018, landlords of privately rented domestic and non-domestic property in England or Wales must ensure that their properties reach at least an Energy Performance Certificate (EPC) rating of E before granting a new tenancy to new or existing tenants. These requirements will then apply to all private rented properties in England and Wales – even where there has been no change in tenancy arrangements – from 1 April 2020 for domestic properties, and from 1 April 2023 for non-domestic properties. As of 1 April 2023, landlords must not continue to let any buildings which have an EPC rating of less than E unless they are exempted. Who do MEES apply to? Except as set out below, MEES Regulations apply to all properties requiring an EPC including all residential tenancies let under AT, AST or Company Let. It does not apply to licences. Tenancies of less than 6 months. If all improvements possible at no upfront costs to the landlord have been undertaken but the rating is still below an “E”. In all instances, the exemptions are only valid for five years and cannot be transferred to a new landlord. Also, all exemptions must be registered on the central government PRS Exemptions Register. Local Weights and Measures Authorities (LWMAs) will enforce the new regulations and will have powers to impose civil penalties determined by the property’s rateable value. If a let property is found to be in breach of the MEES Regulations and a penalty is imposed, the lease between the landlord and the tenant remains valid and in force. Where the breach is for less than three months, the fine will be the equivalent of 10 per cent of the rateable value of commercial properties, subject to a minimum penalty of £5,000 and a maximum of £50,000 and £2,000 for residential properties. Where the breach is for more than three months, the fine will be the equivalent of 20 per cent of the rateable value for commercial properties subject to a minimum penalty of £10,000 and a maximum of £150,000 and £4,000 for residential properties. Is Investing in Property Still a Good Option Today? You may have noticed that buy to let landlords haven’t been having a great time of it lately. Determined to curb the proliferation of such landlords in the UK and encourage more families and individuals to buy homes, the government has come up with a raft of measures aimed at pruning landlords’ profits. Introduced this year Section 24 will cut back on how much residential landlords can claim on mortgage interest relief. 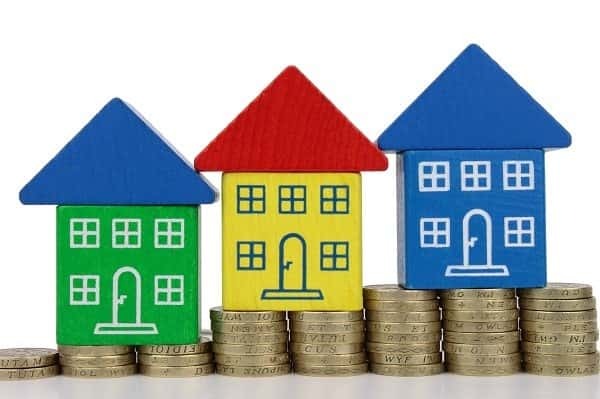 Done on a sliding scale until it’s done away with completely in 2020, it means many landlords paying a higher rate of tax (40 per cent) will see their tax bills rocket (since they’ll be taxed on gross rather than net income). One of the ways to mitigate this is to consider becoming a limited company, where you’ll be charged corporation tax and will be eligible to claim the mortgage relief expenses. Another is to consider dividing your profits between a spouse or business partner who pays tax in a lower bracket. Then again, remortgage and find a better deal now before the full tax implications kick in. Other grumbles about changes to the market include the introduction of a minimum EPC rating of E for new lets and renewals from April 1, 2018 (existing tenancies have until 2020) or a £4000 fine. This means landlords will have to invest thousands in making their rental properties compliant. Other landlords have wondered about how their finances would look were mortgage interest rates to increase (although we don’t see this happening in the foreseeable future). Meanwhile the hike in Stamp Duty in 2015, resulting in a 3 per cent cost for all new buy to let properties didn’t help either. Granted these are all viable concerns and for some landlords the excuse they needed to get out of the market (being a buy to let landlord comes with certain responsibilities, after all). Property prices can fall as well as increase but this is unusual and in fact, prices continue to increase on an annual basis. Certainly, the property market is a far more stable investment than stocks and shares or hedge funds. Thanks to the current UK housing crisis (which doesn’t look like ending any time soon) tenant demand for properties still very much outstrips supply ie there are more people looking to rent than there are properties on the market. Mortgage interest rates are currently lower than they’ve been in years (yes, lender’s conditions are more stringent but if you pass them it could feel like you’ve struck gold). Robins Estates do not provide tax, legal or accounting advice. This material has been prepared for informational purposes only, and is not intended to provide, and should not be relied on for, tax, legal or accounting advice. You should consult your own tax, legal and accounting advisors before engaging in any transaction. Looking at the newspapers between Christmas and New Year, it seemed that this year’s sport in the column inches was to predict the future of the British housing market. So to go along with that these are my thoughts on the Nottingham property market. In terms of what will happen to Nottingham property values in the next 12 months, a lot will be contingent on the type of Brexit we have and the impact on the whole of the UK economy. A lot of people will talk about the Central London property market in the coming year, and if the banking and finance sectors are negatively affected with a poor Brexit deal, then the London market is likely to see more of an impact. Nevertheless, the bottom line is Nottingham homeowners and Nottingham landlords should be aware of what happens in the roller coaster housing market of Central London, but not panic if prices do drop suddenly there in 2018. Over the last 8 years, the Central London property market has been in a world of its own (Central London house prices have grown by 89.6% in those last 8 years, whilst in Nottingham, they have only risen by 36.6%). So we might see a heavy correction in the Capital, whilst more locally, something a little more subdued. Hindsight is always better than foresight and predicting anything economic is all well and good when you know what is around the corner. At least we have the Brexit divorce settlement sorted and, as the UK economy and the UK housing market are intertwined, it all depends on how we deal as a Country with the Brexit issue. However, we have been through the global financial crisis reasonably intact ...... I am sure we can get through this together as well? Oh, and house prices in Nottingham over the next 12 months? I believe they will end up between 0.2% lower and 1.4% higher, although it will probably be a bumpy ride to get to those sorts of figures. 2016 – What A Challenging Year It Has Been For Landlords! Not only have we had the political turmoil of Brexit, and recently a major change in direction for the US government, one which will undoubtedly affect the UK, good or bad, we’ve had unprecedented change in UK letting regulation.